The two teams will clash towards the end of March in the UAE. 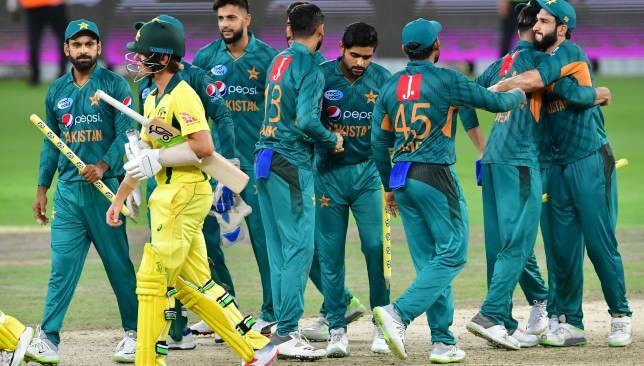 Australia will play Pakistan in the UAE after the Pakistan Cricket Board (PCB) announced the schedule of the five-match ODI series on Sunday. The PCB had held on to a brief glimmer of hope of Australia touring Pakistan for the first time in 20 years after positive initial discussions between the two cricketing boards. However, that much anticipated tour will now have to wait longer with all the five clashes scheduled to take place in the UAE. The five-match ODI series will get underway at Sharjah on March 22 before drawing to a close at Dubai on March 31. The timing of the series also throws up the interesting possibility of a potential Australia return for the banned duo of Steve Smith and David Warner. The one-year bans handed out to the two players for their roles in the ball-tampering saga comes to an end on March 29. It is also the date of the fourth ODI between the two sides and it now remains to be seen if the pair is called up to the Australia squad for the final two ODIs. “The PCB was optimistic that it will be able to convince Cricket Australia to send its side for some matches after successfully staging high-profile bilateral international series and the HBL Pakistan Super League matches in the past 18 months,” PCB international cricket director Zakir Khan said in a statement. “But, we are disappointed for the enthusiastic and passionate cricket fans in Pakistan who will now have to wait for some more time before they can see the Australia cricket team live in action for the first time since 1998. All five ODI encounters between Pakistan and Australia will be day/night clashes. A series to forget for young Khaleel Ahmed. 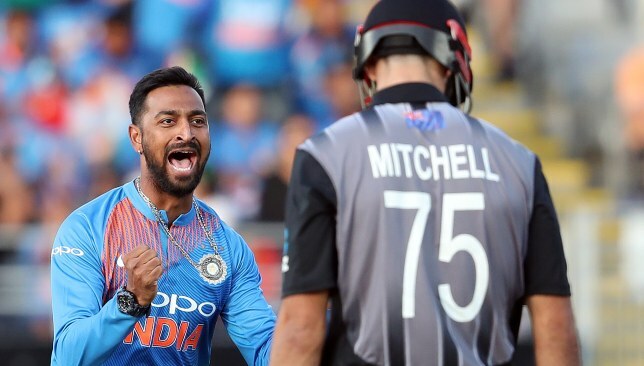 It was turning out to be the perfect tour of the southern hemisphere for India but Sunday brought their first series defeat as New Zealand won the T20 decider by four runs. 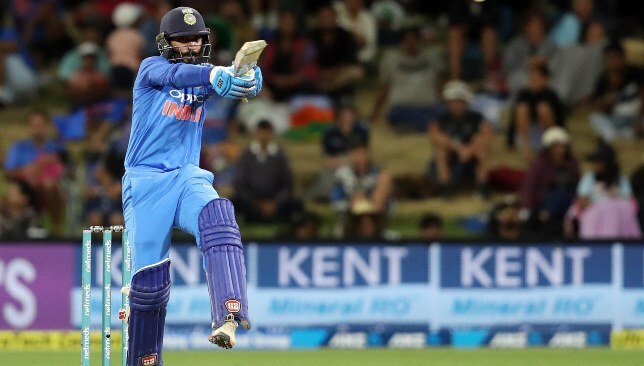 The narrow win at Hamilton helped the hosts clinch the three-match T20 series by 2-1 with India tasting only their first series defeat in the combined tours of Australia and New Zealand. At the end of a hard-fought T20 series, we rate how India’s players fared across the three clashes. Not the best of series for the stand-in India skipper, who has been in some terrific form of late. His 50 in the second T20 helped India level matters but the two other knocks were below-par. Like Rohit, Dhawan has been exceptional for India in limited-overs cricket but he failed to bring his best in the series before falling cheaply in the decider. Questions were raised over Shankar’s spot in the team but he answered them with a couple of exciting knocks with the bat to show that he has a future. 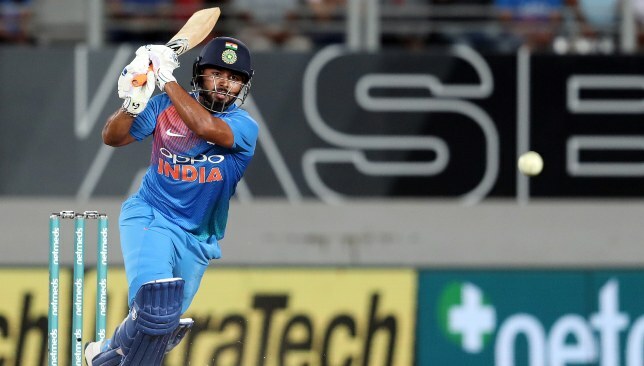 The youngster was dismissed cheaply in the series opener but he showed his class with an unbeaten 40 to help India cross the finish line in the second T20. Played an excellent cameo in the decider. Pant played a couple of blinders with the bat. The veteran did his best as others around him struggled in the opening T20 but he failed to stand up when it really mattered in the decider. His glovework behind the stumps remains top-notch as ever though. 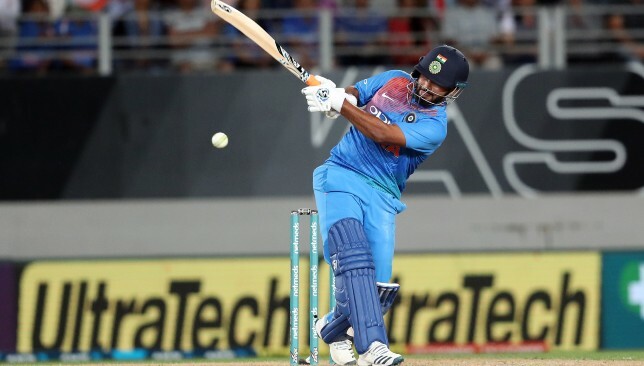 Karthik was one of the many Indian batsmen to fail in the series opener but he almost dug out an improbable victory for India with a 16-ball 33 in the decider. The all-rounder’s return to international cricket was a welcome one for India and he brings terrific balance to the side. Didn’t get many opportunities with the bat but was very expensive with the ball at times despite chipping in with wickets. One of the biggest positives for India’s series loss was the emergence of Krunal Pandya who showed he can be an excellent all-round option in the limited-overs formats. Was very expensive with the ball in the decider but played a blinder with the bat. Krunal has given India another all-round option. The senior India pacer started the series off on a poor note by conceding 47 runs in the opener but grew better as the matches progressed although he failed to hit his usual heights. The leg-spinner was decent without being outstanding in his two appearances before he was replaced by Kuldeep Yadav in the deciding T20. The young left-arm pacer was a huge disappointment in the series despite his composed performance in the second T20. Was taken for plenty of runs in the first and third T20s and his place in the limited-overs setup could be under threat after those performances. The prolific wrist-spinner was bafflingly kept away from the playing XI at Wellington and Auckland. He was brought in for the decider and immediately showed his class with figures of 2-26 while the rest of India’s bowlers were carted all around the park. Rohit Sharma struggled with a 32-ball 38 in the chase of 213. 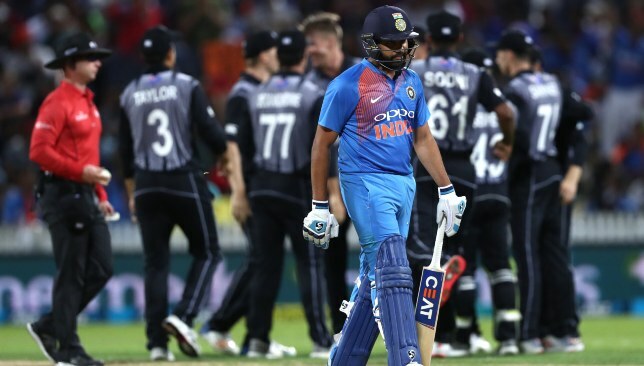 India’s dominant tour of the southern hemisphere came to a sour end as New Zealand held their nerve for a series clinching four-run win in the final T20 at Hamilton. With the two teams level at 1-1 in the series, it was the hosts who came out all guns blazing to post a daunting 212-4 in their 20 overs. The visitors battled hard with the bat in response but fell agonisingly short of the finish line in the end. At the end of an enthralling encounter befitting the status of a decider, we take a look at the key talking points. 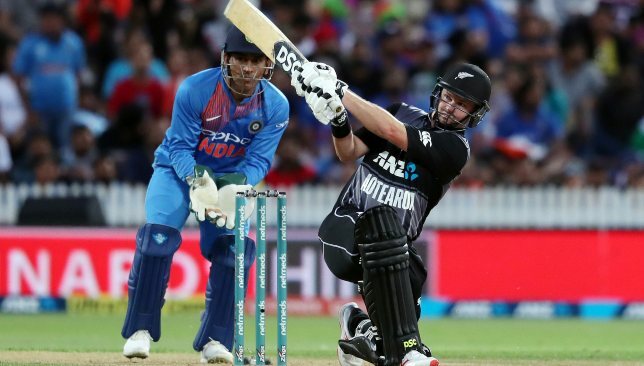 All the pressure was on Colin Munro heading into the third T20 with the Kiwi opener struggling for runs to justify his place in the limited-overs set-up. With his back against the wall, Munro came out in determined fashion and calmly swatted away Bhuvneshwar Kumar for a huge six off the very first delivery. It was just the pressure-relieving shot Munro needed with the southpaw growing in confidence as his innings progressed. With Tim Seifert for company, Munro helped New Zealand race away to 80 runs inside just eight overs with the small boundaries at Hamilton aiding some big shot-making. Once Seifert fell for 43, Munro continued his carnage at a venue where he had struck a magnificent ton against England in the same format last year. The opener struck five sixes and as many boundaries before he was dismissed for a 40-ball 72 and by the team he departed, the Kiwi had laid the foundation of a big total. Munro finally comes good in the series. India’s chase of 213 got off to the worst possible start with Shikhar Dhawan falling to Mitchell Santner in the very first over. 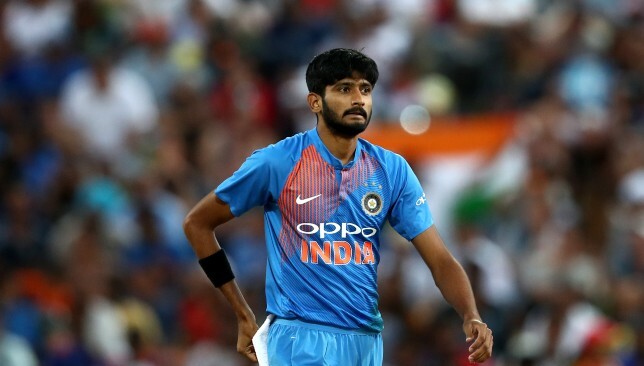 However, an inspired knock from Vijay Shankar helped India chug along in the chase with the all-rounder smashing 43 off 28 deliveries. His crisp hitting helped the visitors overcome the struggles of Rohit Sharma at the other end with the stand-in skipper lacking any timing or conviction in his innings. Shankar fell in the eight over but Rishabh Pant kept up the assault with a 12-ball 28 before Hardik Pandya chipped in with an 11-ball 21. The quick-fire cameos helped India keep up with the asking-rate for a long stretch but wickets kept falling at regular intervals to offset the balance. Once Rohit’s suffering (38 off 32) was brought to an end by Santner, India lost the plot in the middle with Pandya and MS Dhoni departing in quick succession. It left the lower-order with too much to do in too little time. Pant played an entertaining 12-ball cameo. The procession of wickets in the middle-overs had brought down the equation for India to an almost improbable one with 68 runs required off the last 28 deliveries. With just four wickets in hand for India, the hosts would have expected the job to be nearly done but they were given a mighty scare by Dinesh Karthik and Krunal Pandya who turned the tide in spectacular fashion. The duo smashed five sixes between themselves in the run-up to the final over with the equation coming down to 16 off six in the end. Unfortunately for the visitors, Karthik ran out of steam at the final with Tim Southee bowling an excellent final over for the hosts. A six from Karthik off the last delivery of the innings proved only to be a consolation in the end as India were left wondering as to what might have been if not for the middle-order stumble. Karthik almost took India across the finish line.